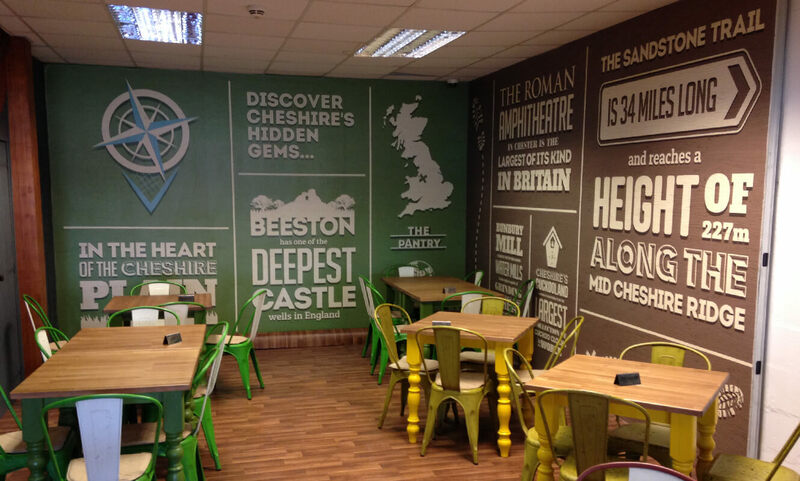 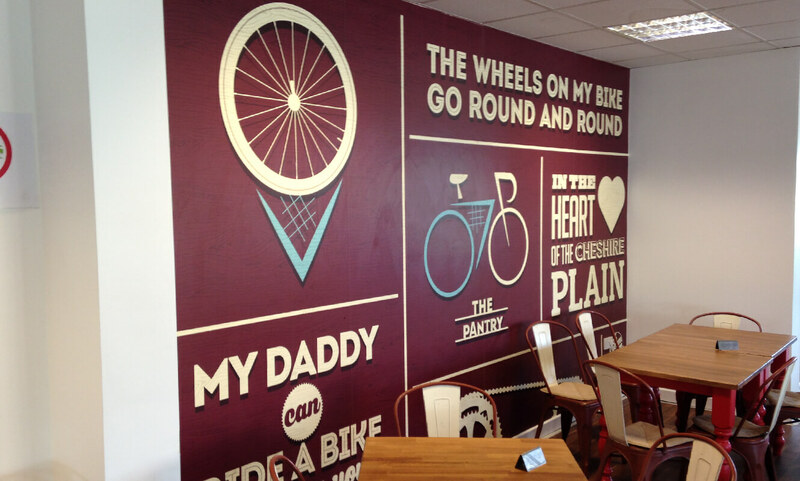 Working closely with our friends at THEME3 we have produced and installed a number of graphic solutions for this bespoke project. 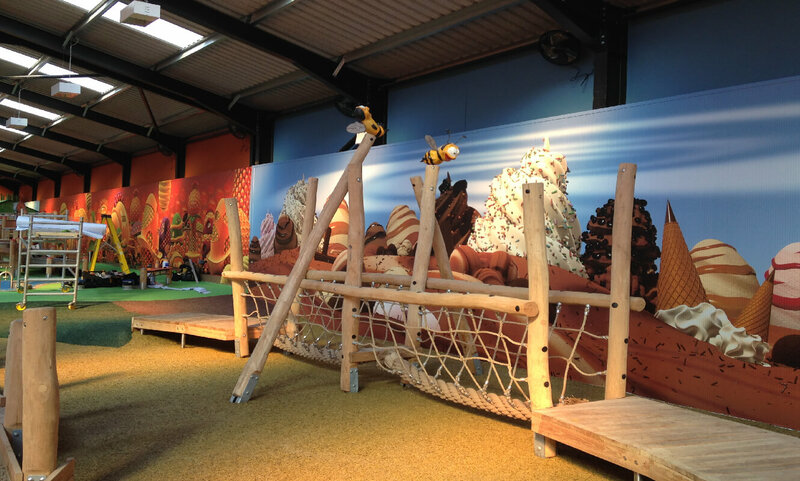 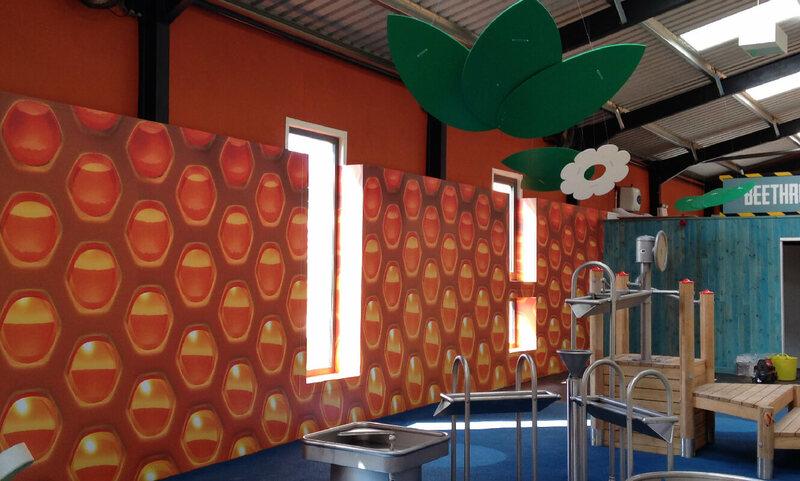 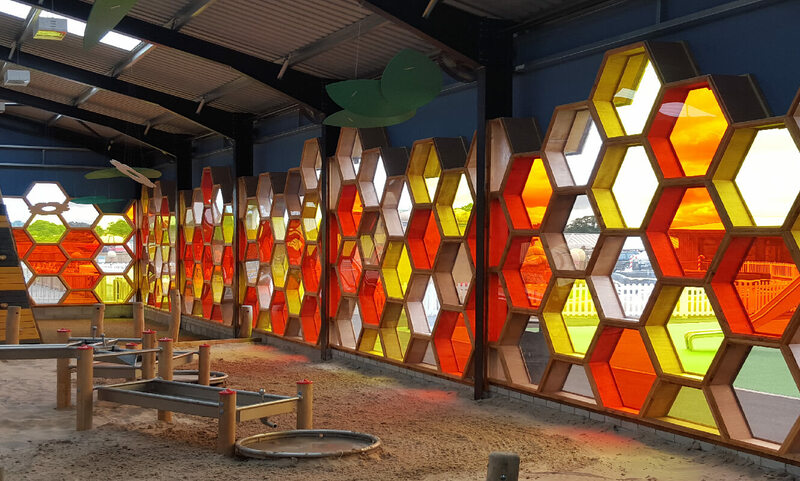 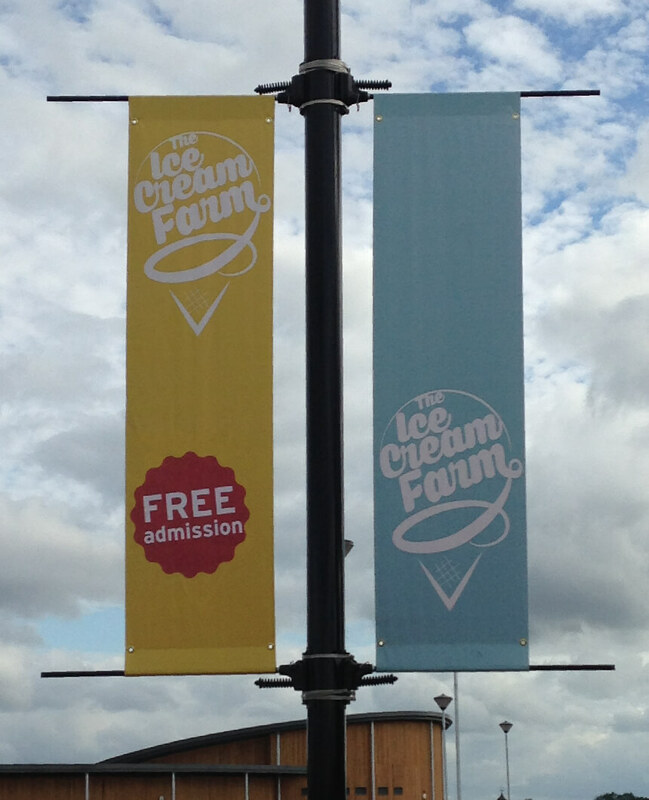 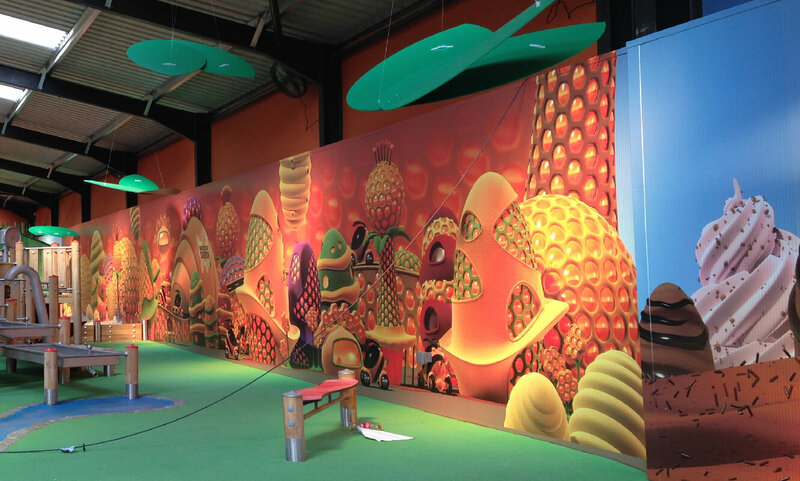 Some of the highlights included two 60m continuous graphic vinyl wraps in the play-barn, supplying over 250 CNC routed acrylic panels for a honeycomb effect wall, oversized hanging daisy mobiles, wrapping the café walls in wallpaper and in the ice cream parlour installed two 18m tension frame systems to keep the design themed across seasons. 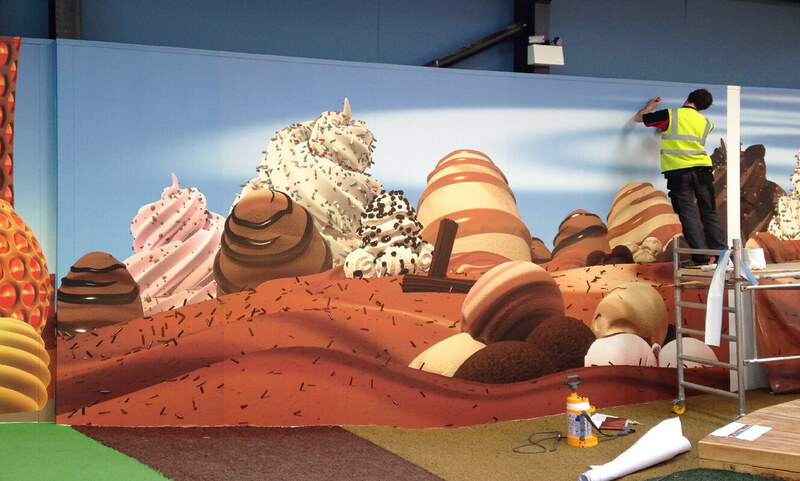 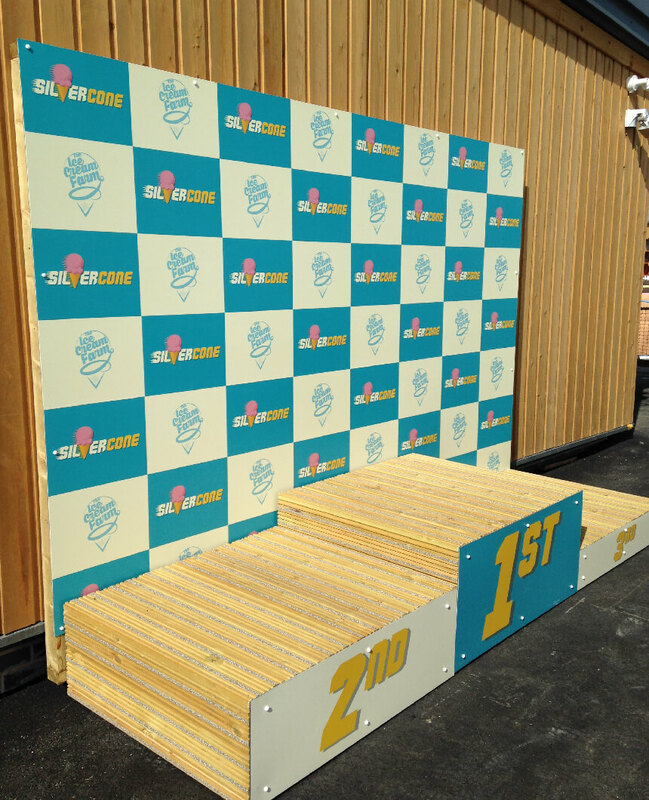 Throughout the site we installed various bespoke themed solutions included floor graphics, entrance signage and a large 3D lollipop to name but a few! 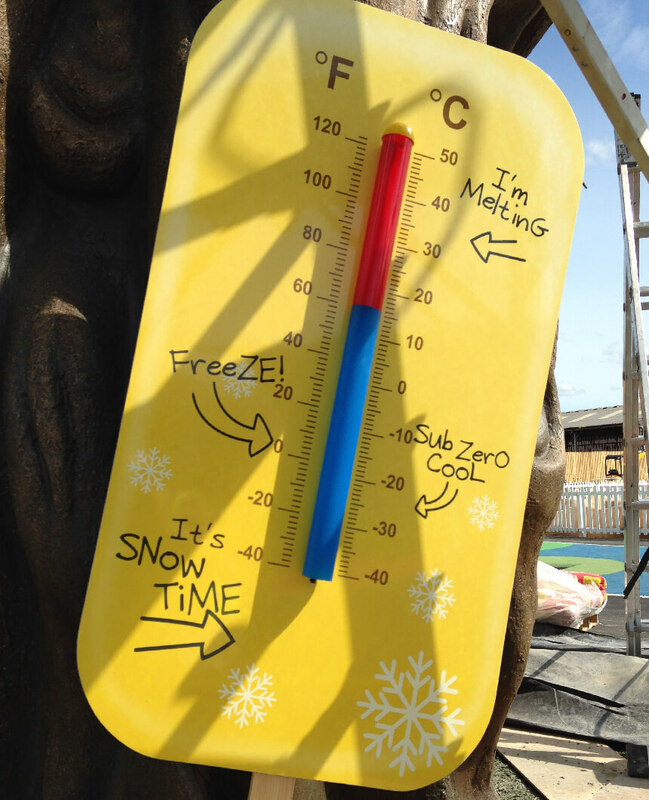 Copyright © Bamboo Creations, All rights reserved.